This is a new initiative is to get more feedback from patients. It is designed to find out if patients are happy with the treatment they have received from their dentist and dental team and if they would recommend these services/team to their friends and family. 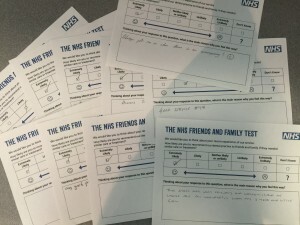 Our patients have been completing these forms for the past 6 months and the team are pleased to say the results are fantastic. We have scored 100% in patients recommending us to friends and family ‘extremely likely’ or ‘likely’. Our score has been published on the NHS Choices website. This response makes us proud that the improvements we have made over the past year are recognised by our patients and are being well received. We are continually asking for feedback and reviews to our services and are constantly looking to improve and continue to provide high standards of care to all our patients. or alternatively, please fill out one of our patient questionnaires at the practice (all forms are kept anonymous).